The latest meeting of foreign ministers from members of the Organization of Islamic Cooperation (OIC) in Jeddah had the misfortune to be held at the same time as the fall of Mosul and the explosion of the Islamic State of Iraq and Syria (ISIS) onto the global news agenda. The subsequent declaration by ISIS that it had formed an “Islamic State” in the territory it controls on both sides of the Iraqi–Syrian border, and that it had appointed its shadowy leader, known as Abu Bakr Al-Baghdadi, as a new “caliph,” has kept the organization and the issue of international Islamic extremism in the headlines. Among the states and organizations seeking to formulate a response to these events, perhaps the one with the most at stake is the OIC, given that it was set up to act as the collective voice of the Islamic world. Asharq Al-Awsat spoke to the OIC’s secretary-general, Iyad Ameen Madani, who became head of the organization’s permanent staff at the beginning of 2014, about its attempts to promote peace and interfaith dialogue, its attempts to preserve the Islamic heritage of Jerusalem, the issue of the Rohingya Muslim minority in Myanmar, and its response to the crisis in Syria and Iraq. 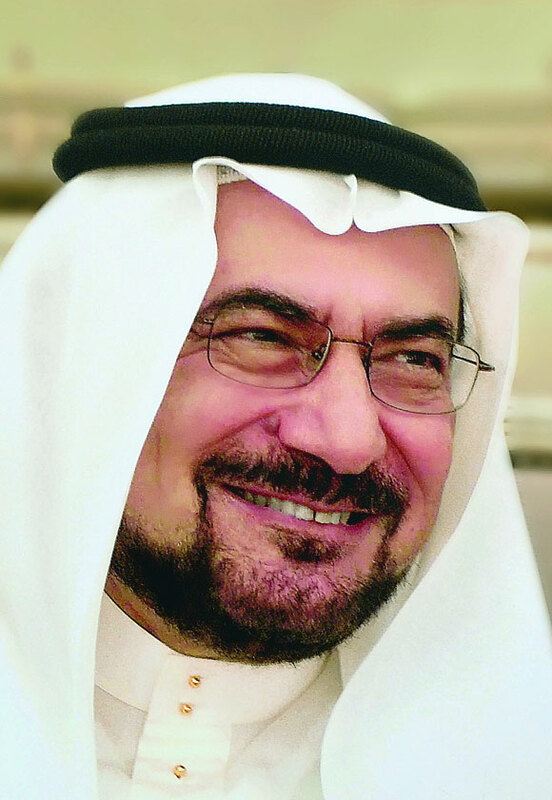 A Saudi national, Madani previously served as the Kingdom’s Minister of Culture and Hajj. Asharq Al-Awsat: The announcement from Jeddah concluding the recent Council of Foreign Ministers (CFM) meeting did not mention any decisions that may have been reached on the Iraq crisis. Was the omission deliberate, and will the OIC call for another meeting to discuss it? Iyad Ameen Madani: Discussions on Iraq take on many dimensions. Iraq has been a continually developing political issue since Saddam Hussein’s invasion of Kuwait, and since then the political situation in Iraq has continued to change and become more controversial. Iraq, as a full member of the OIC, is esteemed and appreciated. It was represented at the OIC conference, held in mid-June, by the Iraqi minister of foreign affairs. The latest developments in Iraq drew attention at the CFM meeting, as they were referred to in more than one speech during the meeting, as well as in the Secretariat’s report written since our last CFM meeting in Conakry, Guinea last December. As the General Secretariat, we came to the conclusion that we need a new approach in the region—not only with regard to the issue of Iraq, but also with respect to Syrian affairs as well. The OIC membership is concerned about Iraqi and Syrian affairs. As long as these countries remain members of the organization, it can act as a . . . platform for them to meet and even engage in direct dialogue on the issues at hand, given their vested interested in stabilizing Iraq. As an organization, we have suggested that there be liaison teams that follow and monitor events as they happen. In the event that positions must be taken on developments, these teams can then advise the foreign ministers of the organization’s members on recommended policies, as the final say rests with the ministers. Q: What are the general features of the approach you have outlined above? We have proposed specific tools, and not broad guidelines, to reach a possible solution. Essentially we want to create a mechanism or platform through which we can establish dialogue. For instance, all the platforms that discuss Syrian affairs are international, such as the Geneva I and Geneva II conferences. This is an important activity—we hope it regains its vitality and that those who established the conferences do not lose hope about it continuing. What we are talking about here is dialogue between countries of the same region. The countries of the same region should be able to agree upon a unified approach on certain topics; all of them by virtue of their sovereignty have interests in the region, but those interests are not necessarily contradictory. In Europe, Latin America, and Asia, countries have been able to cooperate despite economic competition, border disputes, and cultural clashes. Although there are sometimes clashes on ethnic and racial issues, they still cooperate with one another. Our region must also work to get to this level of cooperation so that we can gain trading opportunities and mutual benefits, rather than engage in conflict and confrontation. We must have many discussions and share our opinions before we can reach this point. In order to have such a discussion there must be a meeting place for the countries involved. There must be a goal and a mechanism behind their meeting. This is what the General Secretariat discussed at Geneva II, as well as during the Arab League summit in Kuwait and our last CFM meeting in Jeddah. We are still hoping to achieve this goal. Q: Are there internal disputes among the members of the OIC that could be an obstacle to this? The Organization comprises 57 countries, so a resolution on this matter must be reached through a process of deliberation and reflection. Each state should take its time to decide through its own internal political processes. We are moving as quickly as possible to gain consensus on the matter, but the Organization will not take a decision unless it is . . . accepted by all. It is important [to remember] that the process is already taking place. Q: What is the OIC’s position on the conflict in Syria? We must recognize . . . that the solution begins by emphasizing Syria’s territorial integrity, and that the rights of Syria’s citizens lie within recognition of this sovereignty. Syria has always been a mosaic [of sects and ethnicities] and must remain so. It should remain politically and economically independent . . . In other words, no country in the region should treat Syria as a place to boost its international influence. [Former] president Hafez Al-Assad, the father of President Bashar Al-Assad, had strong relations with Iran, but at the same time retained close ties with all countries in the region. One sphere of influence was not sacrificed to fortify another. Syria maintained its national independence at that time. The regime in Syria, in terms of the party in power, the president, and tools of governance, did not change between Hafez Al-Assad and Bashar Al-Assad. However, the vision and leadership that Hafez Al-Assad maintained and managed kept Syria’s independence intact. This faltered in the years following his death. We want to restore that independence. Returning to the past after the years of fighting, bloodshed, and destruction that Bashar Al-Assad and his regime are no doubt responsible for, does not merit a sense of optimism. But despite how difficult it will be, it does not mean it is impossible. For this reason, there must be a dialogue between the countries of the region, including Syria, to preserve what we have and to maintain the national interests of [all] countries in the region. National interests do not imply that one country gains influence over another, just as the secretary-general does not himself determine the approach to be taken by the Organization. Instead, our approach relies on debate and give-and-take, which we hope to establish through liaison teams. Q: You have visited the West Bank and met with President Mahmoud Abbas. When will you visit Jerusalem? The Organization has announced, at every opportunity, that it will work to open doors and encourage Muslims by the thousands to visit Jerusalem until they reach the Al-Aqsa Mosque, and that it would be best if they spent some time in Jerusalem— at least one or two days. This is so that the visit can have an effect in reviving the economy of Jerusalem, which remains steadfast in the face of all of the current Israeli government’s abuses. Q: But you have stated that these visits must be undertaken through official channels, under the Palestinian authorities . . . Without a doubt. No visits should be made via Israeli checkpoints or transit points. We want the visit to take place through channels that are handled by our brothers in Palestine and Jordan—through Amman—so that there will be no benefit to Israel whatsoever. Israel is an occupying power; it does not just occupy Palestinian soil, but even mosques and places of worship. Hardly a week can go by without the Knesset and Israeli politicians (especially those with ministerial positions) proposing a new approach to dismantle the rights of Muslims in their places of worship, and even remove Christians from their holy places. They want a full Jewish state, and are looking for crumbs from history to justify Judaizing everything [in the city]. This is something we should confront with all of our strength, through political, legal, and moral means, as well as through the media and civil society. The truth will win out in the end. Q: You mentioned civil society; during your visit to the West Bank, you met with several Palestinian civil society organizations in Palestine. What took place during those discussions? These organizations feel as though there is a gap between them and the rest of Arab and Islamic civil society. They do not believe that there is enough support and enough continuity between them despite their deep Arab and Islamic roots. At the time of the visit, the Palestinian prisoners [in Israeli prisons] were on hunger strike, and the streets of Ramallah were filled with people distributing cups of water, salt, and salt-water to passers-by, including me, to demonstrate what the hunger strikers deal with when they refrain from eating. They expect this to be a major issue in all Arab and Muslim societies, especially among civil society organizations and youth sectors. In their opinion—and I think that they are right—there is no sense of shared issues and [appreciation of] what they suffer amongst their counterparts in the Arab and Islamic world. They do not just want to communicate at the level of issues, either. Instead, they want close communication and to build networks with civil society organizations all around the world. It was important for me to have convincing answers for them. Q: Has the OIC proposed any plans for civil society organizations? The OIC, in my opinion, has not had enough openness towards civil society institutions. I do not want to use the term “civil society” because it is an ambiguous term, and sometimes takes on an ideological meaning. We like to call them voluntary associations instead. Some members of the OIC, such as Malaysia and other Far Eastern countries, as well as [those from] the Maghreb and some African countries, have very active and prominent volunteer organizations. We have opened the doors of dialogue with voluntary associations in terms of the humanitarian relief dimension and this is great. But voluntary organizations are not just relief organizations, and their work addresses other social aspects such as health, education, women’s rights, and the environment, which are among the long list of concerns that would be of interest to the OIC. For the future, we are working towards finding a way in which member states can be more open to community volunteerism. Q: Among all the growing crises within the Islamic and Arab worlds, you have given the Boko Haram issue a great deal of importance. Why? Nigeria is an important country in the context of the Organization’s work. Its economy, according to recent statistics, is the largest on the African continent—surpassing South Africa. This matter concerns us deeply given that Nigeria is comprised of a [mixed] Muslim and a Christian population. This proves that the OIC is a political organization that does not distinguish between citizens on the basis of sect or religion. This is why the visit to Nigeria was important, and grew increasingly urgent in light of Boko Haram’s operations, which has been misusing Islamic slogans to justify kidnapping, terrorizing, and bombing. We condemn their operations because they have become a recurring model in more than one region. We believe these movements are terrorist movements that have nothing to do with Islam. If there is any marginalized group which suffers from the lack of rights or from ethnic and religious persecution, we have to work in the context of the society to demand their rights. Nigeria is an open society, and there is more than one channel through which those rights can be pursued and expressed. We wanted to emphasize that Boko Haram’s slogans have no basis in Islam and show that 80 percent of the victims of violence and deaths are Muslims. Both mosques and churches are being destroyed. Nigeria is a traditional society with chieftains and princes who have no political influence, but carry social weight. When [terrorists] assassinate these figures it has no political weight but aims for the disintegration of society and its structures from the inside, which is exactly what Boko Haram is attempting to do. The OIC must be alert about the situation and stand against it. At the same time, the OIC believes that we must look at the environment and roots of these movements, to understand who the stakeholders behind these actions are and what their endgame is. When thinking about Boko Haram’s operations, we find that they have been undertaken thanks to careful planning, sophisticated logistics, and with enough funding for arms. They have a variety of tools and members, and the capacity to obtain more. Where does the potential to do so come from? We must reflect on how these groups are being penetrated and exploited. Q: What do you hope will result from the appointment of the former Malaysian Foreign Minister Tan Sri Syed Hamid Albar to the position of OIC special envoy to Myanmar? Malaysia has had a longstanding relationship with Myanmar. The fact that Mr. Albar is from Malaysia, in addition to being former minister of foreign affairs, gives him a more comprehensive, detailed understanding of the significant political and economic relations, and civil society networks, within the region. Malaysia is also a member of the Association of Southeast Asian Nations (ASEAN), and ASEAN members have a special understanding of the issues related to the Muslim minority in Myanmar and the sensitivities of dealing with the Myanmar government. We hope that our capabilities and efforts towards the cause for Muslims in Myanmar are recognized. The OIC is not looking for a confrontation with the Myanmar government, but we want to give Muslim citizens their fundamental rights. We want them to be treated as citizens, and have the rule of law applied to them. We do not want them to be persecuted, ignored or subjected to abuse, or to have their homes burned down simply because they are Muslims. Of course, in the case of Myanmar, the responsibility is universal. The international community and especially countries with influence are constantly talking about human rights and minority rights, day and night. We want to hear their voices [on] the rights of the Muslim minority in Myanmar. We hope to hear America, and the countries of the European Union, Russia, and China—a major neighbor of Myanmar—voice their ideas on the issue. We are messengers simply trying to communicate with the government, but in the course of this communication [we] hope to stop their violations and their marginalization and exclusion [of minorities]. We want them to apply their laws to Muslims, as they are also native citizens, which has been proven throughout [the country’s] history, given that Muslims were an integral part of Myanmar during the days of British imperialism. We hope that the presence of our special envoy will spearhead the Organization’s efforts and start dialogues between Muslim scholars, Buddhist monks, and intellectuals in the region. We want to confirm that these two cultures have coexisted throughout the centuries, not only in Myanmar, but throighout the entire region. We want to build on this historical legacy, the shared values, livelihoods, and coexistence—which is a historic characteristic of those communities. Q: Some believe that some Islamic discourse has had a direct influence on the rampant extremism within Islamic societies. How can the OIC contribute in spreading a new, contemporary Islamic discourse to combat this? You mentioned the term “Islamic discourse” as though it is a singular term, but today we are unfortunately witnessing a plurality and chaos in discourse that claims to be Islamic. We need to firmly redefine what we mean by “Islamic discourse.” Anything that is contrary to the tolerance and moderation advocated by the Qur’an and the sunnah should be subject to review before it is termed “Islamic discourse.” Islam has specific sources [the Qur’an, the sunnah] which gather us all into one Islamic Umma, or nation. It is true that these sources may be subject to different explanations or interpretations, but history tells us that Islam is a model of coexistence, peace and tolerance. Thus, the presence of the many chaotic and false voices behind “Islamic discourse” do not speak on behalf of Islam, and are what lead to a hatred of Islam and Islamophobia. We must emphasize that Islam is innocent, and that these extremist currents only represent themselves. The OIC has worked and will continue to work to contribute to and formulate an Islamic discourse that prominently features tolerance, peace and coexistence with other religions and cultures. In this regard, the Custodian of the Two Holy Mosques and King of Saudi Arabia, Abdullah Bin Abdulaziz, has taken the initiative in establishing the [KAICIID] interfaith dialogue center [in Vienna]. The OIC is strongly supportive of initiatives like this. There are efforts to coordinate these initiatives between Islamic countries, and hopefully they will bear fruit.